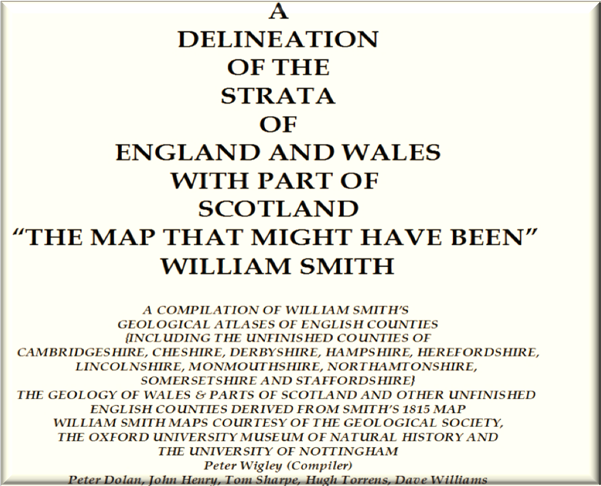 William Smith is perhaps best remembered for his pioneering 1815 geological map of England and Wales with parts of Scotland. 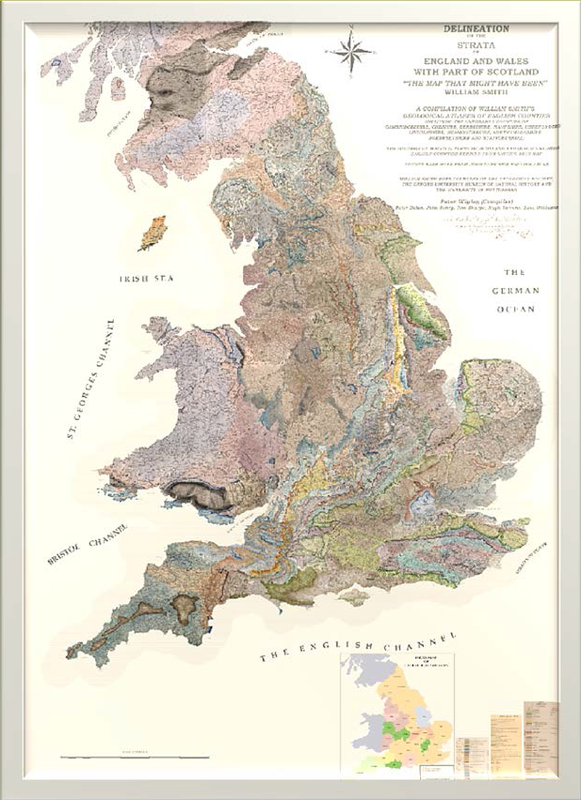 What is less well known is that shortly afterwards (1819-1824), Cary published a series of twenty one of Smith’s geological maps of English counties. Also, Smith partially completed a number of other county geological maps which exist in manuscript form. At the time that Smith published the 1815 map he was experiencing severe financial difficulties which culminated in his imprisonment in the Kings Bench Debtors Prison. It would seem reasonable to suppose that were it not for these difficulties, he would have gone on to complete all the English counties and probably a number of Welsh counties. The published county maps show more detail than is present on the 1815 map and it is possible that Smith may have wanted ultimately to compile these maps into a second edition of his England and Wales map. 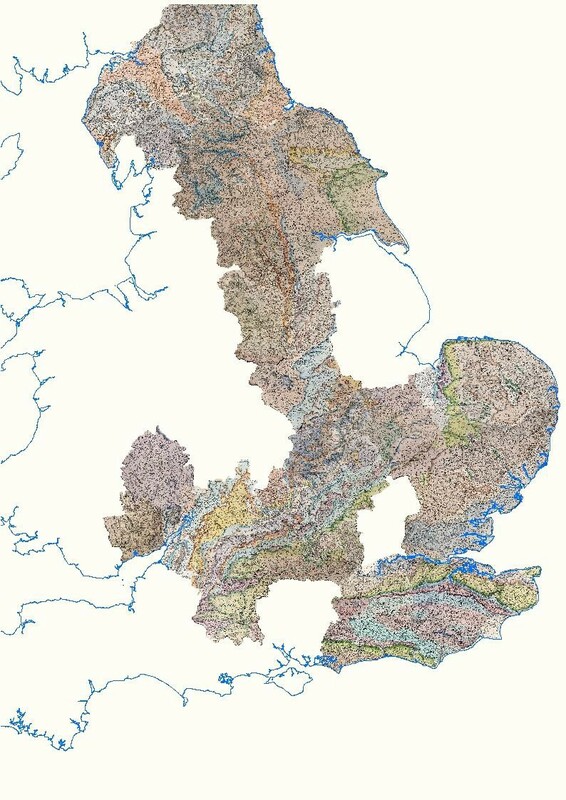 The index map below shows the various sources for Smith geological maps which the Online Project Team have used in the preparation of new composite geological image – The Map That Might Have Been. 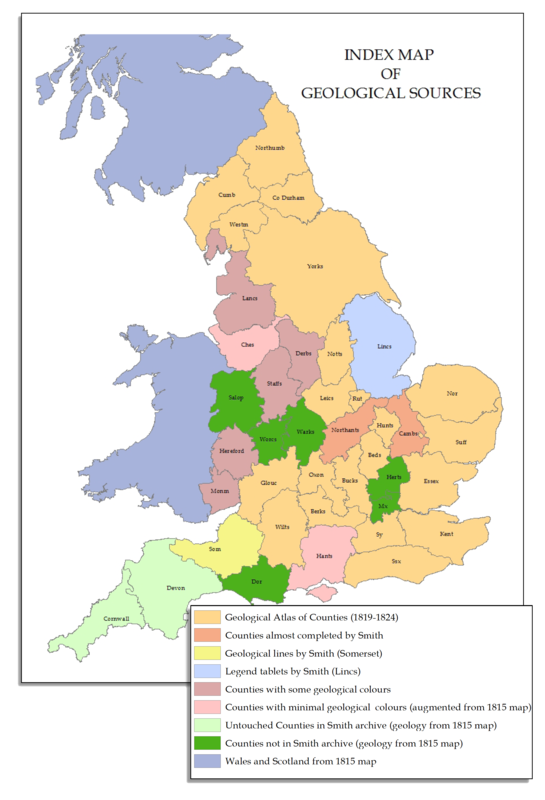 In an attempt to see what this map – THE MAP THAT MIGHT HAVE BEEN – may have looked like, the coloured geology from each of the county maps has been clipped out of the georeferenced original and then mosaicked with other counties to form a continuous image. This process was completed for all published county maps and manuscript maps with significant geological content. 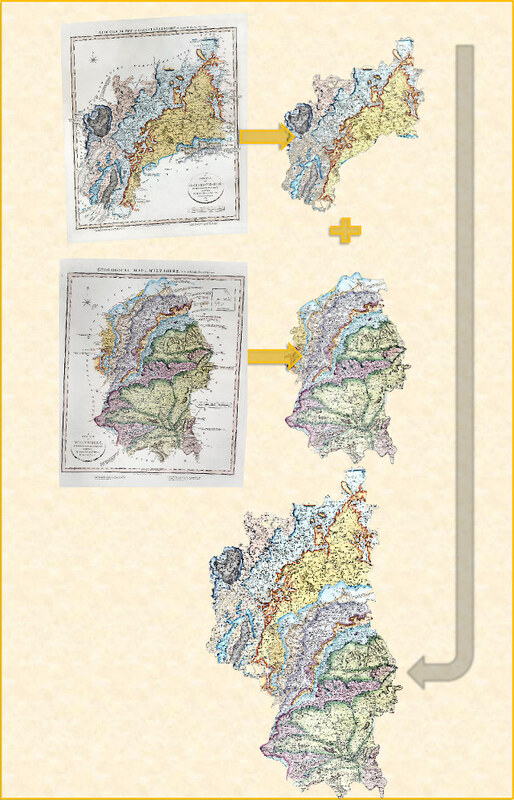 The examples given below show the original maps for Gloucestershire and Wiltshire together with the clipped images and a mosaic of the two counties. There were some problems with edge-matching but generally a good fit was obtained. The examples below show the processing sequence for counties for which Smith had no county geology. 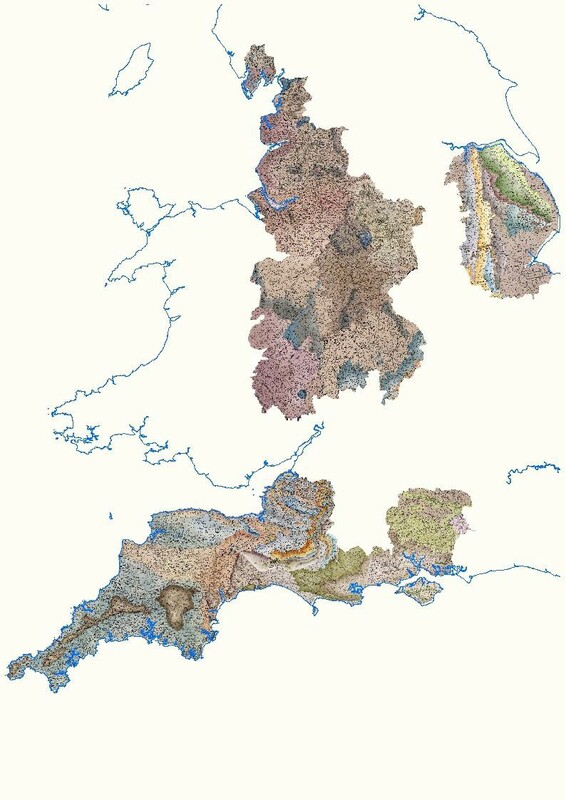 (A) shows a composite of Cary’s New County maps of Devon, Cornwall and Dorset. 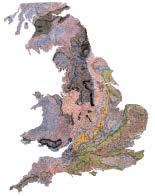 (B) shows Smith’s 1815 geology for the same area. 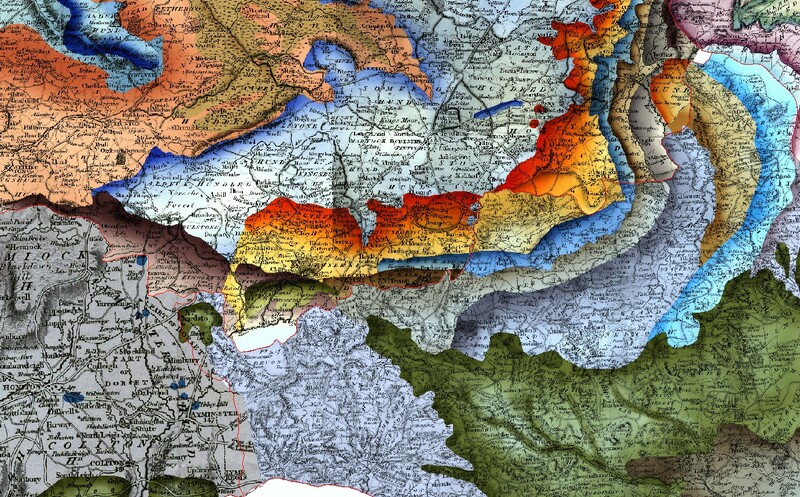 (C) shows the geologic polygons derived from the 1815 maps and (D) shows the final result after the (A) and (C) were combined in Adobe Photoshop®. 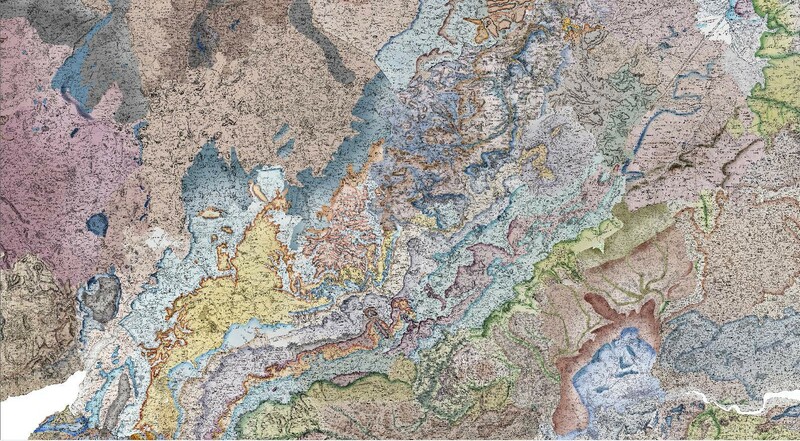 This shows the completed mosaic consisting of William Smith Manuscript maps enhanced by Smith 1815 geology together with other Cary New County maps on which the geology from the 1815 map has been overlain. This mosaic also includes William Smith’s Somerset map which originally showed only engraved geologic lines. The geology for this county has been interpreted from his original line work. 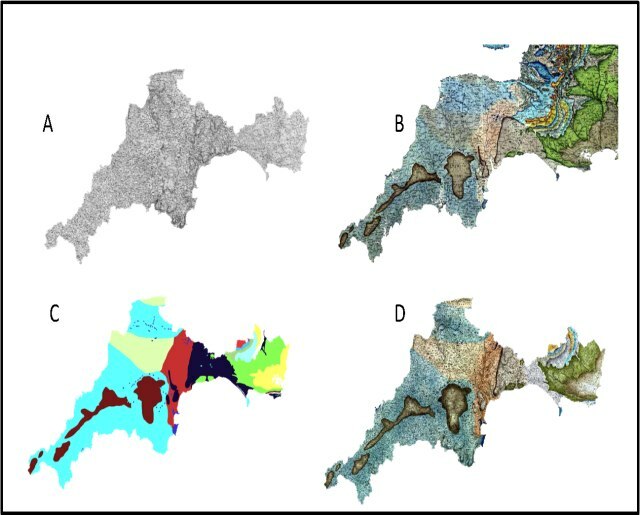 The three panels displayed below show a part of southern Britain; “A” and “B” are based entirely on Williams Smith’s mapped geology, either from his original 1815 map or from the later County Maps. “C” is a display of the same area which has been produced from modern BGS geology. 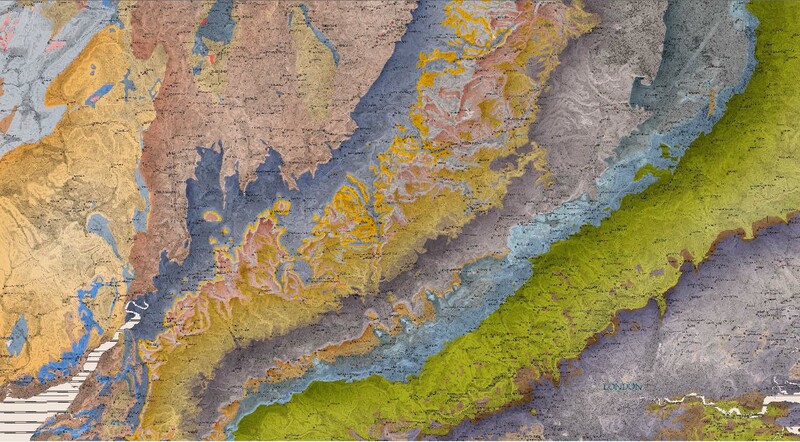 In order to make a like-for-like comparison, the modern geology has been grouped into formations which would have been familiar to Smith; Smith’s distinctive colour and tinting has also been used for the geology and combined with a 19th century style base-map. 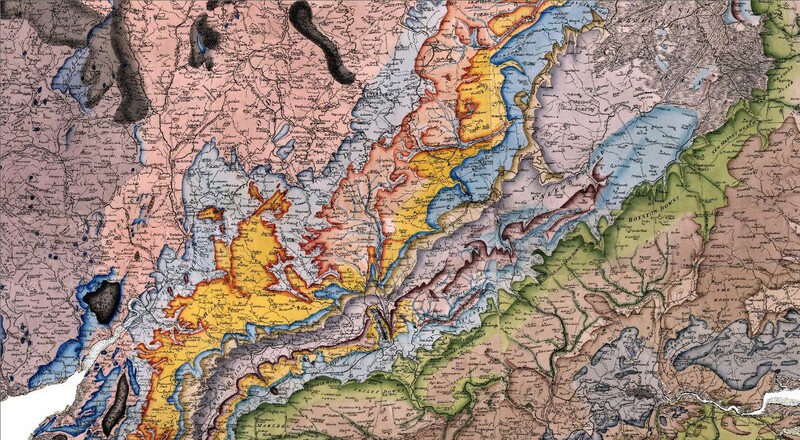 The similarity between Smith’s maps and the modern geological reality is impressive and is testament to a genius which spans 200 years.